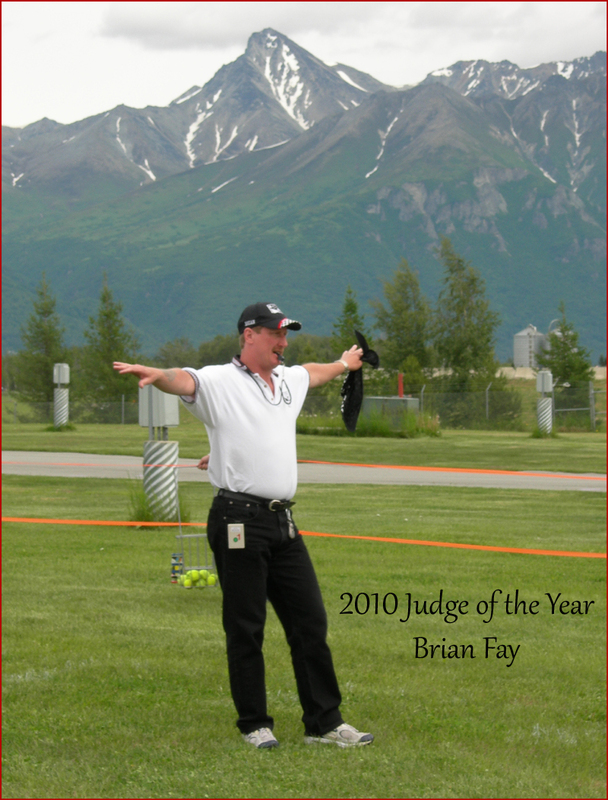 Brian Fay decided to become a NAFA Judge 11 years ago, and has been a supervising Judge for 8 years. In his role as a Supervising Judge, he has trained and mentored many new judges, some of whom are now Supervising Judges themselves. Brian went a step further for NAFA, volunteering his time to serve on the board and heading up the Judges Committee for 3 years, followed by a 2 year stint on the Rules Committee. He has been NAFA's "go-to" Judge for many years and is in demand internationally, as he has judged at the Australian Flyball Nationals twice. Brian has judged every final at Cynosports, was selected to judge the CanAm Classic, and was the obvious choice to judge the 2010 CanAm finals. His professional demeanor, devotion to fairness, and fun attitude are appreciated by competitors and spectators alike. Brian has judged several world record runs and in 18 of NAFA's 20 regions. His goal is to judge in all 20 of them! NAFA has many great judges, and I believe that Brian is the best of the best. He is an excellent candidate for the Judge of the Year award.